Doesn’t every Cape Cod dream include a lot of laughter and a house full of loved ones? But if there is a line for the bathroom for morning showers, or if grandpa is kept awake by a crying baby or a twenty-something coming in at midnight, reality can fall short of the dream. 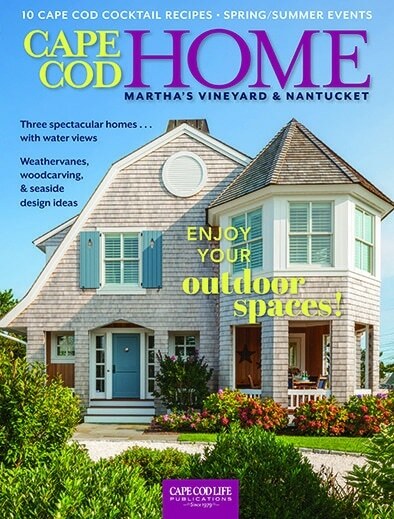 According to local architects and builders, creating homes that bring together multiple generations while providing them with spaces to relax comfortably is a huge trend on Cape Cod. These homes are being designed to provide large gathering spaces for the clan while also offering privacy, quiet, and separate bedroom suites so that generations can keep different hours, pursue different interests, and still enjoy one wonderful vacation home together. One great example of this trend is a private home on Lake Wequaquet built several years ago for a retired couple with two grown daughters and two grandchildren. The home was designed by Brown, Lindquist, Fenuccio & Raber Architects Inc., and built by Cape Associates Inc. The architects’ mission was to design a lakefront cottage with generous living space of 6,000 square feet for three generations of family to enjoy together, without the appearance of overwhelming mass or bulk, while capturing lake views for every important room. The key to their success was careful planning and a lot of 3D modeling to get the siting, massing of forms, and rooflines and elevations just right to maximize the views and space while ensuring the house fit into a mixed neighborhood with more modest homes. According to Rick Fenuccio, one of the principal architects on the project, the clients approached the firm after buying one and one half acres of land in Centerville with 200 feet of lake frontage. The team then entered into a 10-month design process.